Another creative couple made their mark, literally, on a customized his-and-hers wedding set. 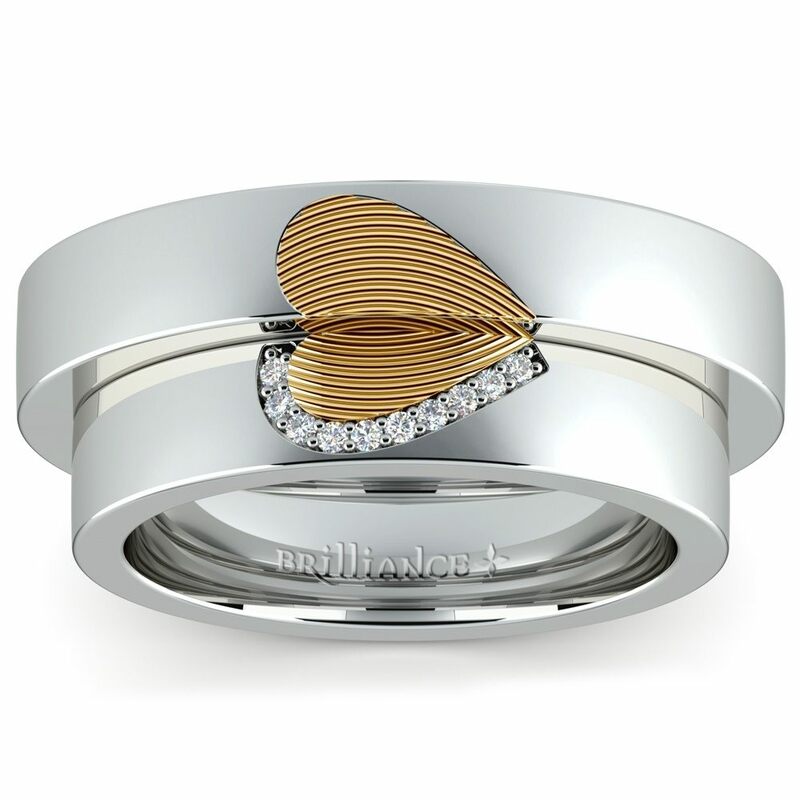 The two bands apart are interesting, but when placed together, the design formed a heart. What made this heart diamond ring truly unique was that Brilliance used the couple’s actual fingerprints to create the heart! Fashioned from White Gold, the bride’s wedding band features 0.10-carat diamonds outlining her Yellow Gold inlay of the heart, providing a stunning contrast to the band and the row of round diamonds. The groom’s band, also made of White Gold with Yellow inlay, lacks the feminine charm of the diamonds, presenting a solid, strong counterpart for the set. Simple yet stunning and sentimental, this was another creative project of which the couple and the Brilliance Design Team can be proud. The diamonds are hand-picked by our Master Gemologist for H color and VS2 clarity. Starting price for the bands shown below is $1,595. Please note that the bands can’t be purchased separately, only as a set. The design is now available for casting in the full range of jewelry metals. 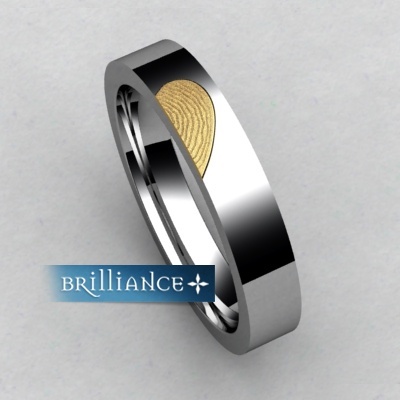 For those that prefer the combination bands in Sterling Silver and Yellow Gold, the starting price is $1,295 and $2,495 for Platinum and Yellow Gold (includes both bands). Final price is based on metal type and ring sizes. Do you have a custom setting you would like to make a reality? 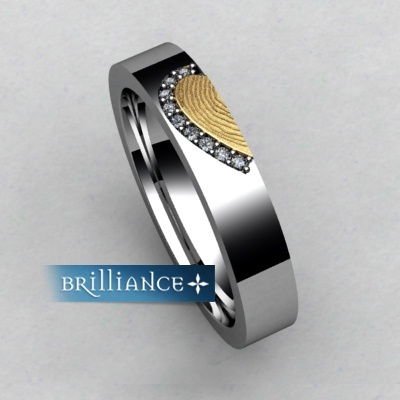 Fill out our Custom Jewelry Form or give us a call today to get started, (866) 737-0754!